Could happiness lie in helping others and being open to accepting help yourself? Mentors  the follow up to the New York Times bestseller Recovery  describes the benefits of seeking and offering help. Mentors: How to Help and Be Helped describes the impact that a series of significant people have had on the author  from the wayward youths he tried to emulate growing up in Essex, through the first ex-junkie sage, to the people he turns to today to help him be a better father. It explores how we all  consciously and unconsciously  choose guides, mentors and heroes throughout our lives and examines the new perspectives they can bring. Start reading Mentors: How to Help and be Helped on your Kindle in under a minute. Amazing, eloquent and inspiring! Would recommend for anyone, as anyone and everyone has the need for mentors as we all have the need to grow! 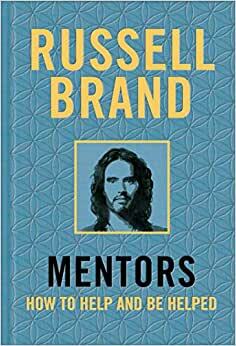 Russell Brand is gifted on many levels. He is clearly a genius with the verbal fluency and eloquence to match his unique insights and candor. This audiobook is sheer poetry; I could listen indefinitely.